On The General Election of 1987 Thatcher had suffered from the Westland affair and the attack on Libya but Britain was healing economically. The Westland affair was used to show Thatcher as intransigent and a poor listener. Thatcher agrees that she will talk over timid or inarticulate arguments. Thatcher has to interrupt men whose voices they themselves love too much. Thatcher had to show that her government would espouse an open dialogue of views. Strategy groups were formed to develop new policies. The economy, jobs, foreign affairs, defence, agriculture and NHS were the major issues. Fortunately Labour offered an anti-American defence policy, according to Thatcher. The 1986 Conservative conference was about the “Next Move Forward”. She attacked the Labour Party for wanting to dismantle the NATO nuclear umbrella. It worked as a pre-election attack. Thatcher believes that she was transforming Britain from limited ownership to popular capitalism: giving power back to the people of Britain. NHS was a touchstone to Conservative support of the Welfare State. Thatcher wanted to bring down waiting lists although she accepted that a new cohort of aging people would cost greatly. The big issues for the election were housing, trade unions, privatization, lower taxes and local government financing. She called for giving regular citizens the kinds of public services that the rich already enjoyed. Thatcher wanted to empower not just the rich (as is implicit in her politics) but the poor as well. The soft Tory Alliance Party was a threat as a third party to the Conservative majority. Thatcher called the Labour manifesto an ‘iceberg’ of socialism. The Conservative weak point would always be the social services, admits Thatcher. The lengthy preparations of NHS were kept until late in the campaign when it became a significant issue. Alliance shot itself in the foot when it attacked Thatcher’s strength on National Defense exposing a unilateralist position. Neil Kinnock’s massive gaffe was that he would run for the hills and prepare for a guerrilla warfare if Soviet aggression emerged: “using the resource we had to make an occupation untenable.” Thatcher attacked his weakness here stating he should not be PM taking the issue too lightly and based on his Labour party unilateral disarmament defence policy. 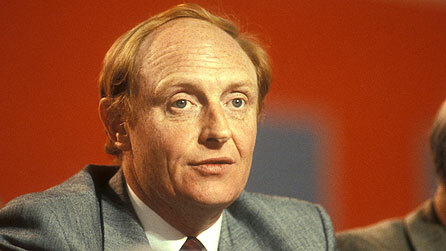 Kinnock in the media was portrayed with crowds always where Thatcher was shown with boardrooms or factories: Britain’s industrial/innovative future. The Labour Party was talking about white flags, guerrilla fighting while Thatcher pounced on this weakness to suggest that her defence policy was superior. This was the major focus of the 1987 campaign. 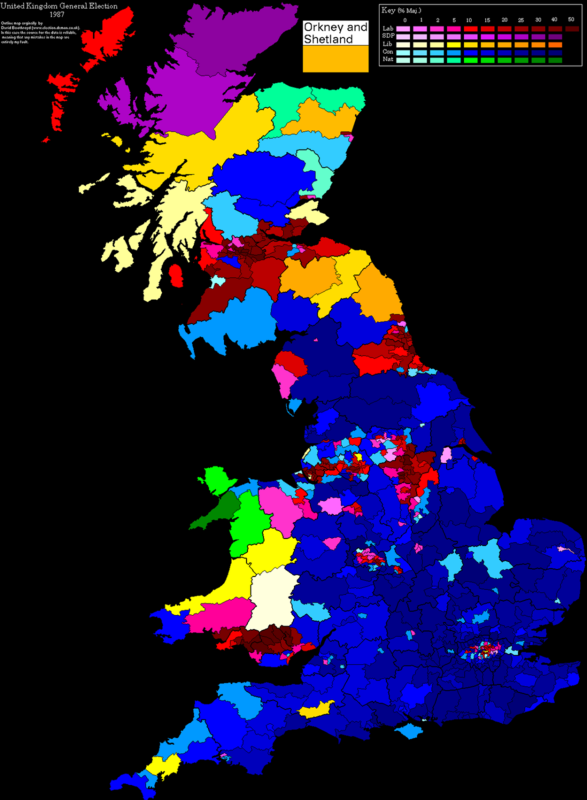 Thatcher won with a reduced majority of 102 seats. Conservatives gained a third convincing majority.